Anglesea residents want to see the Alcoa owned power station and coal mine they have suffered with for the last 50 years closed down. Since Alcoa has closed the Port Henry Aluminium Smelter the last justification for the mine and power station has ended. The coal mine and power station no longer has a social licence to operate according to the Surf Coast Air Action community group. Victoria currently has a surplus of generating capacity and we don’t need the power from the highly polluting Anglesea power station. 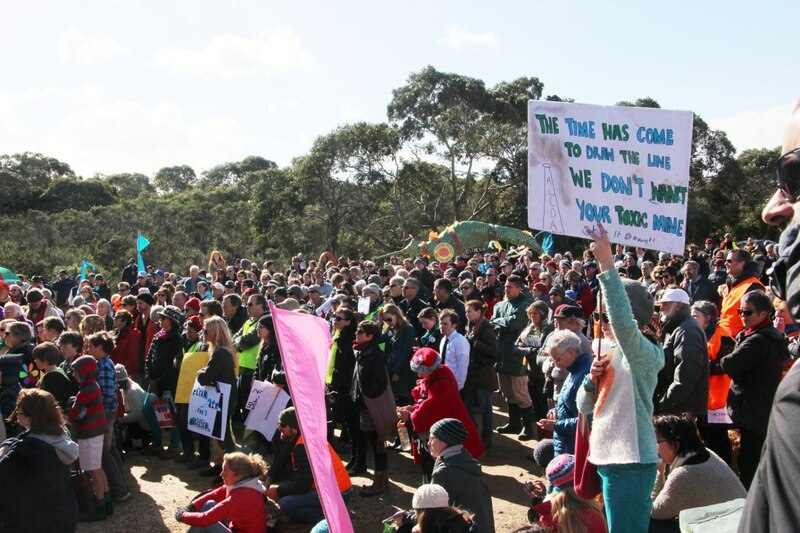 I joined several hundred people in a protest at Anglesea on Sunday 10 August, located at the skatepark. 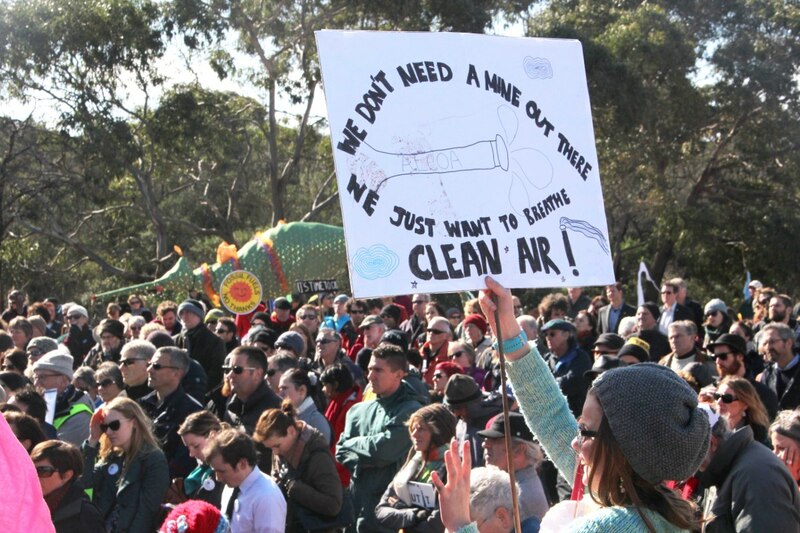 It was a big turn up to the rally organised by Anglesea based community group Surf Coast Air Action (SCAA). 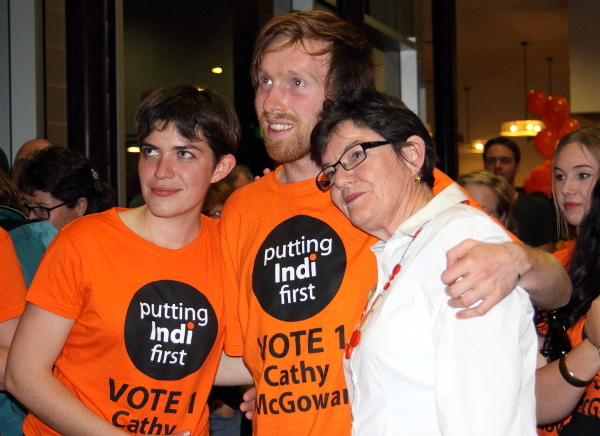 There were a tonne of speeches – perhaps too many for a rally. But each speech brought a different dimension. A highlights video of the event includes excerpts of a few speakers, associated events, and visiting the coal mine. “We need a new economy in Victoria: a smart, sustainable economy to deliver economic, employment and environmental value. So that our state enjoys economic strength, thriving businesses and the growth of jobs for future not the jobs of the past. So, shut it down as soon as possible” (Rob Gell’s full speech). Anglesea is on the south coast of Victoria at the start of the iconic and scenic Great Ocean road. But little more than a kilometre inland from the coastal highway at Anglesea is the huge open pit of the coal mine. The 150MW single turbine power station puts out high volumes of sulphur dioxide and particulates making the area a pollution hotspot in Victoria. There are homes within 500 metres of the mine and a Primary school within just a kilometre of the power station. The toxic cocktail of pollutants emitted by the power station include particulates (recognised carcinogens), sulphur dioxide (a significant respiratory irritant), arsenic, lead and mercury. It is the equal third highest emitter of sulphur dioxide in Australia [39,000,000 kg], with only Bayswater in the Hunter Valley [63,000,000 kg] and Loy Yang in the Latrobe Valley [49,000,000 kg] emitting more, but also producing 17.6 and 14.7 times more electricity than Anglesea respectively. A recent statement on the SCAA facebook page highlighted Alcoa’s apparent failure to meet its own commitments in promising in 2003 to reduce sulphur dioxide emissions by 60 per cent by 2010 when in fact the emissions seemed to have risen over that time period. Alcoa, however, rejected the claim. 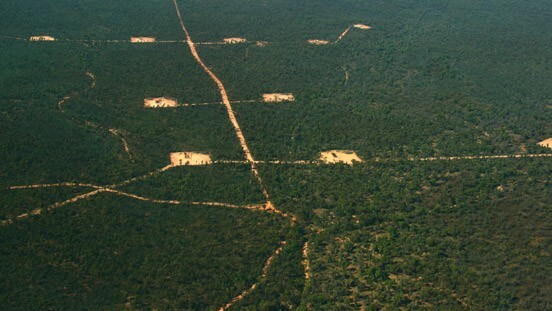 “SCAA and others who believe that the health of people should be put first will not rest until the operator of Anglesea is forced to install SO2 scrubbers to reduce the scandalous Anglesea SO2 emissions, which have seen our town named as one of 12 National Air Pollution hot spots alongside Mount Isa and Port Pirie.” said the statement. 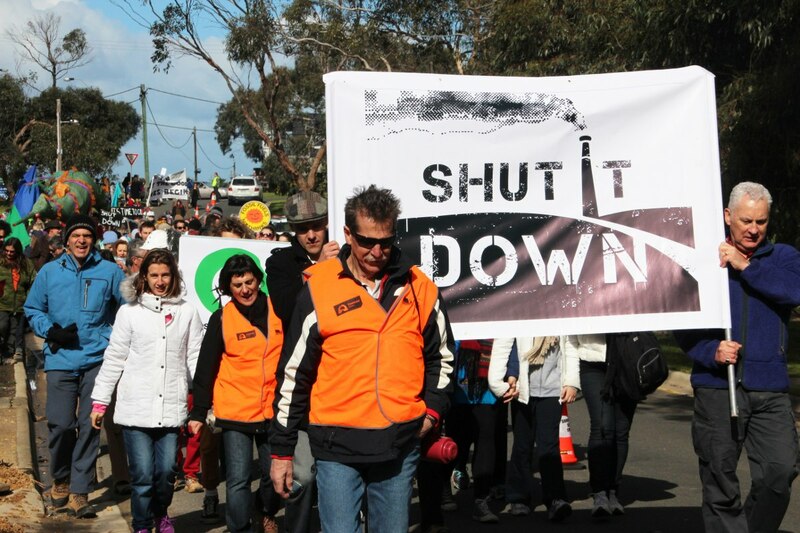 The Victorian Government extended the Anglesea coal mine lease in 2011 for another 50 years. During 2012 Alcoa undertook a review of the Point Henry smelter which ultimately recommended its closure. There is now a unique opportunity for retiring carbon intensive and polluting power stations, increasing the health for local residents and rehabilitating the Anglesea heath. In May 2014 the Victorian state Liberal National Government lead by Premier Denis Napthine granted Alcoa an Electricity Generation Licence for its Anglesea Power Station. The licence allows Alcoa to continue to generate power from Anglesea after 31 July 2014 when Alcoa’s long term electricity agreement with the State Electricity Commission of Victoria (SECV) expired, allowing it to sell the power directly into the National Electricity Market (NEM). 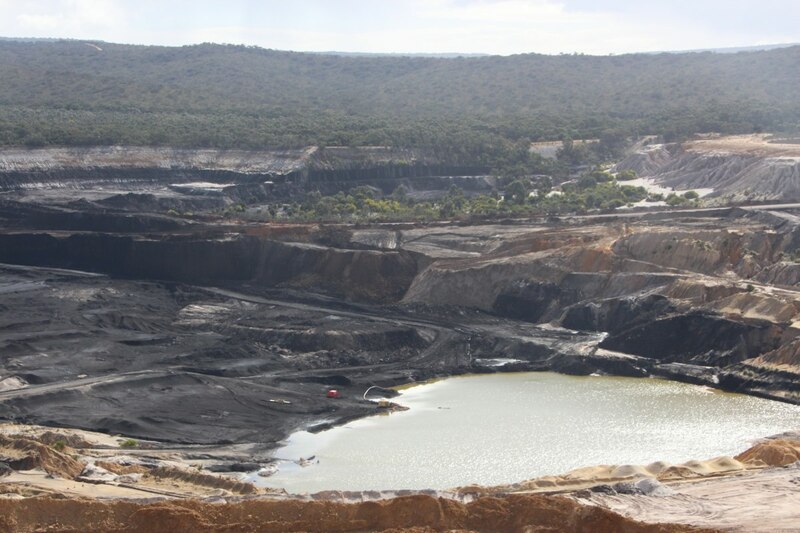 Alcoa currently has an approved plan in place for the Anglesea mine until 2016, and are working on a revised coal mine plan in preparation for submitting a mine extension application to the State Government for mining beyond 2016. Alcoa currently has the coal mine and power station on the market for sale. Export of brown coal through Geelong is potentially on the table, but would be resisted by the community. The campaign has received widespread support locally and from a wide range of community organisations with a joint statement issued two weeks ago. 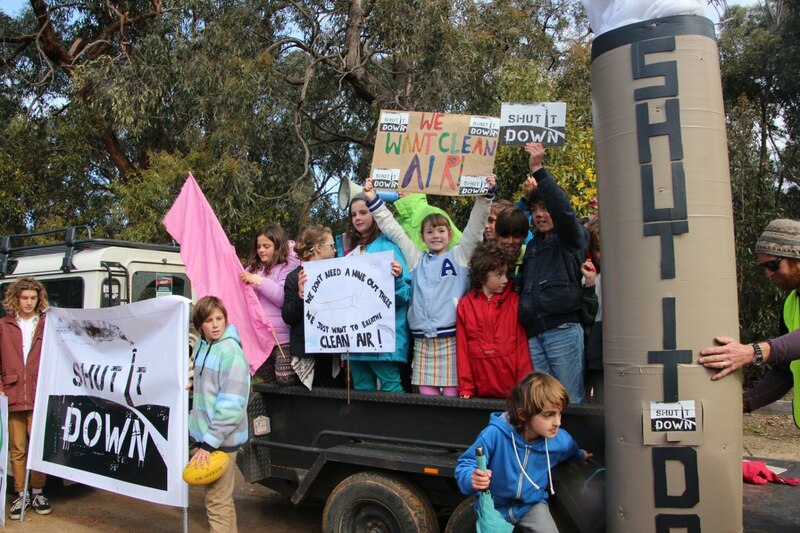 Previously, the local Surf Coast Shire made an unanimous call on the Federal Government to clean up or decommission the Alcoa Anglesea brown coal mine and power plant through the Direct Action policy, and actively supports the community campaign to shut the mine and power station. But the community feels it is being kept in the dark about the future of the coal mine and power station by the Victorian state government and Alcoa. I wish the citizens of Anglesea success in their efforts to protect their local environment from continued coal mining, and the pollution created by power generation. There is no doubt that long term exposure to airborne coal particles and power station emissions would affect the health of anyone, and would also lead to suffering in later life. 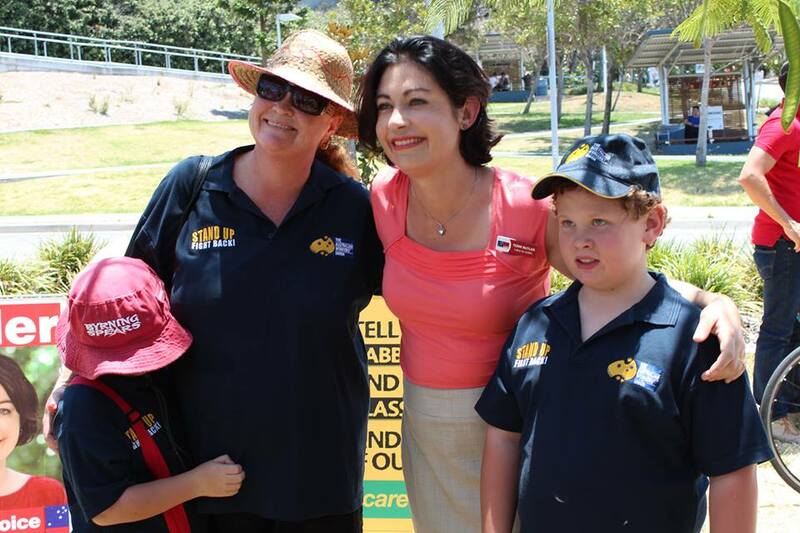 With this being an election year, I hope that you are able to secure a commitment from political candidates to back your cause – though as difficult as that may be, given our current Federal government’s perspective on coal mining. Re the issue of Alcoa disputing that it failed to meet its own 2003 commitment to reduce its massive SO2 emissions at Anglesea by 60%, have a look at the link in the article to the Surf Coast Air Action Face Book page and see who you think is correct. Good luck!!! Having been exposed to multiple heavy metals (air born) I wish all residents the best.